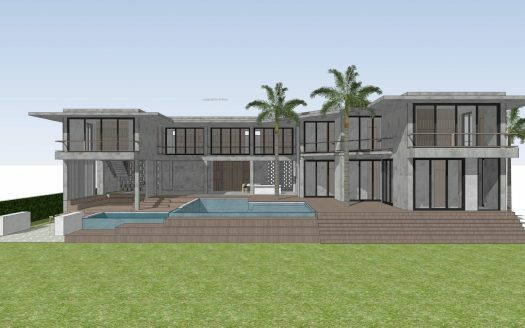 Villa C. with oceanview – 6 bedrooms for 12 guests. Las Terrenas – Playa Bonita – Loma Bonita. 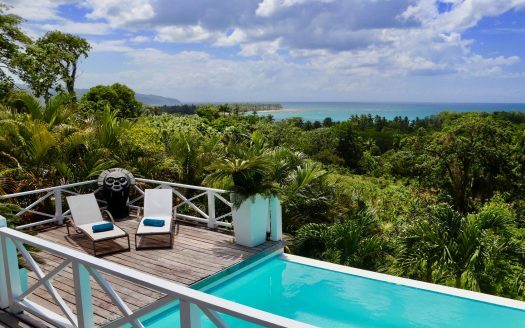 One of the most exclusive properties for rent in or around Las Terrenas. 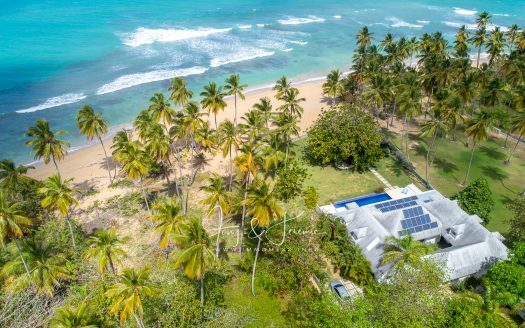 On a spectacular location with view over Playa Bonita. Very private residential compound. A perfect and private place to relax. Large covered terraces which overlook the large pool, indoor and outdoor dining, spacious fully equipped kitchen with bar. Private parking, power generator, 24 hrs security. Daily housekeeping. 6 bedrooms with all king size beds, private bathroom, and airco. Master on the second floor with private terrace. The entrance from this villa is at Playa Las Bsallenas, de view is over Playa Bonita.